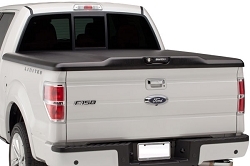 Check out our selection of folding tonneau covers. 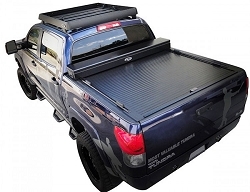 These truck bed covers fold up into multiple sections, allowing you to easily switch between keeping your truck entirely covered, partially covered, or completely open. 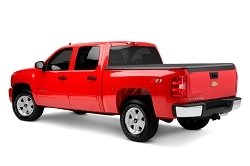 They are available in both hard and soft styles, with soft options most often utilizing a vinyl covering over an aluminum frame, while our hard folding tonneau covers come in your choice of ABS, aluminum, or fiberglass. 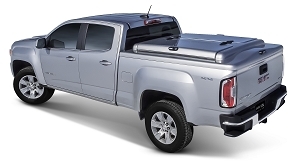 One of the biggest advantages of owning a folding truck bed cover is their versatility, allowing you to quickly access your cargo, and then reclose your tonno without any hassle. 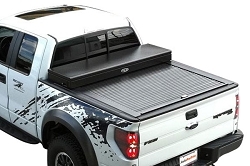 Some even fold at each end, allowing access at both ends of your truck bed. 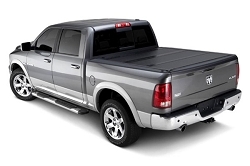 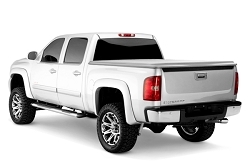 With easy to install options available for every popular make and model truck, we make it easy to find the perfect folding tonneau cover for your pickup.